As you may (or may not) know, WPE (and WebKitGtk+ if the proper flags are enabled) uses OpengGL textures to render the video frames during playback. 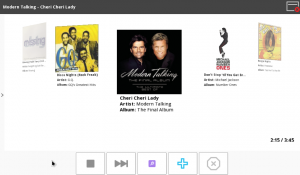 In order to do this, WPE creates a playbin and uses a custom bin as videosink. This bin is composed by some GStreamer-GL components together with an appsink. The GL components ensure that the video frames are uploaded to OpenGL textures, while the appsink allows the player to get a signal when a new frame arrives. When this signal is emitted, the player gets the frame as a texture from the appsink and sends it to the accelerated compositor to be composed with the rest of the layers of the page. This process is quite fast due to the hardware accelerated drawings, and as the video frames are just another layer that is composited, it allows them to be transformed and animated: the video can be scaled, rotated, moved around the page, etc. But there are some platforms where this approach is not viable, maybe because there’s no OpenGL support, or it’s too slow, or maybe the platform has some kind of fast path support to take the decoded frames to the display. 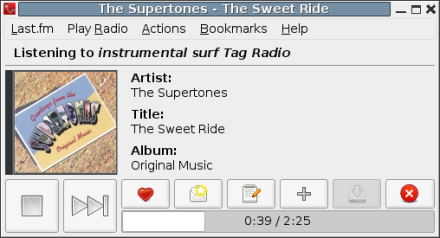 For these cases, the typical solution is to draw a transparent rectangle on the brower, in the position where the video should be, and then use some platform dependent way to put the video frames in a display plane below the browser, so they are visible through the transparent rectangle. This approach is called hole punching, as it refers to punching a hole in the browser to be able to see the video. At Igalia we think that supporting this feature is interesting, and following our philosophy of collaborating upstream as much as possible, we have added two hole punching approaches to the WPE upstream trunk: GStreamer hole punch and external hole punch. 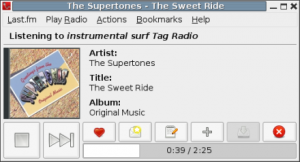 The idea behind this implementation is to use the existent GStreamer based MediaPlayer to perform the media playback, but replace the appsink (and maybe other GStreamer elements) with a platform dependant video sink that is in charge of putting the video frames on the display. This can be enabled with the -DUSE_GSTREAMER_HOLEPUNCH flag. Of course, the current implementation is not complete cause the platform dependent bits need to be added to have the full functionality. What it currently does is to use a fakevideosink so the video frames are not shown, and draw the transparent rectangle on the position where the video should be. If you enable the feature and play a video, you’ll see the transparent rectangle and you’ll be able to hear the video sound (and even use the video controls as they work), but nothing else will happen. In order to have the full functionality there are a couple of places in the code that need to be modified to create the appropriate platform dependend elements. These two places are inside MediaPlayerPrivateGStreamerBase.cpp, and they are the createHolePunchVideoSink() and setRectangleToVideoSink() functions. // we use a fakeVideoSink so nothing is drawn to the page. // and position of the video rendering window. Mark them unused as default. The first one, createHolePunchVideoSink() needs to be modified to create the appropriate video sink to use for the platform. This video sink needs to have some method that allows setting the position where the video frames are to be displayed, and the size they should have. And this is where setRectangleToVideoSink() comes into play. Whenever the transparent rectangle is painted by the browser, it will tell the video sink to render the frames to the appropriate position, and it does so using that function. So you need to modify that function to use the appropriate way to set the size and position to the video sink. And that’s all. Once those changes are made the feature is complete, and the video should be placed exactly where the transparent rectangle is. Something to take into account is that the size and position of the video rectangle are defined by the CSS values of the video element. The rectangle won’t be adjusted to fit the aspect ratio of the video, as that must be done by the platform video sink. Also, the video element allows some animations to be performed: it can be translated and scaled, and it will properly notify the video sink about the animated changes. But, of course, it doesn’t support rotation or 3D transformations (as the normal video playback does). Take into account that there might be a small desynchronization between the transparent rectangle and the video frames size and position, due to the asynchronicity of some function calls. Playing a video with GStreamer hole punch enabled. Unlike the previous feature, this one doesn’t rely at all on GStreamer to perform the media playback. Instead, it just paints the transparent rectangle and lets the playback to be handled entirely by an external player. Implement a new WebKit MediaPlayerPrivate class that would communicate with the external player (through sockets, the injected bundle or any other way). WPE would use that to tell the platform media player what to play and where to render the result. 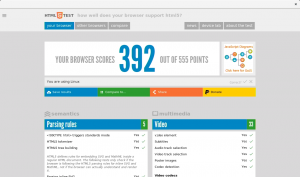 This is completely dependant of the platform, and the most complex solution, but it would allow to use the browser to play content from any page without any change. But precisely as it’s completely platform dependant, this is not valid approach for upstream. This implementation doesn’t support animating the size and position of the video… well, it really does, as the transparent rectangle will be properly animated, but you would need to animate the native player’s output as well, and syncing the rectangle area and the video output is going to be a challenging task. As a last detail, controls can be enabled using this hole punch implementation, but they are useless. As WPE doesn’t know anything about the media playback that’s happening, the video element controls can’t be used to handle it, so it’s just better to keep them disabled. You may be wondering, is it possible to use both implementations at the same time? Indeed it is!! 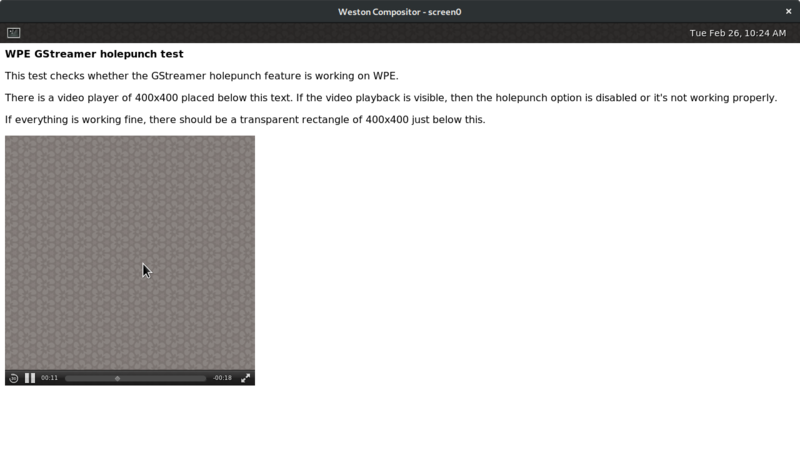 You may be using the GStreamer holepunch to perform media playback with some custom GStreamer elements. At some point you may find a video that is not supported by GStreamer and you can just set the type of the video element to video/holepunch and start the playback with the native player. 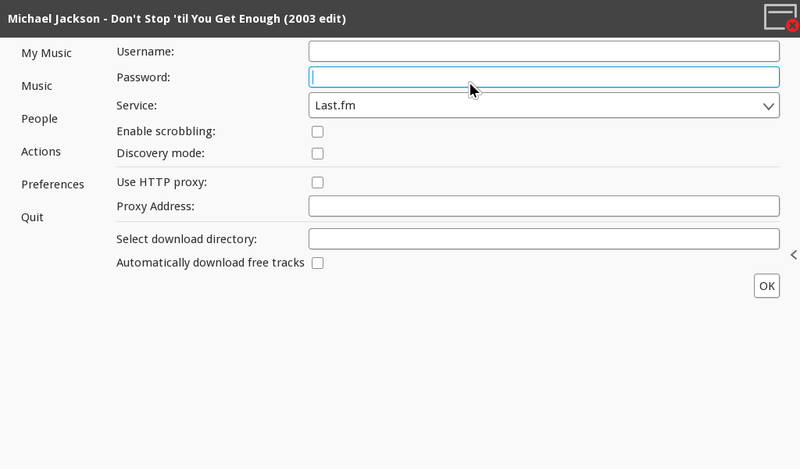 And once that video is finished, start using the GStreamer MediaPlayer again. Both hole punch features will be available on the upcoming stable 2.24 release (and, of course, on 2.25 development releases). I hope they are useful for you! WPE is a new WebKit port optimized for embedded platforms that can support a variety of display protocols like Wayland, X11 or other native implementations. It is the evolution of the port formerly known as WebKitForWayland, and it was born as part of a collaboration between Metrological and Igalia as an effort to have a WebKit port running efficiently on STBs. QtWebKit has been unmaintained upstream since they decided to switch to Blink, hence relying in a dead port for the future of STBs is a no-go. Meanwhile, WebKitGtk+ has been maintained and live upstream which was perfect as a basis for developing this new port, removing the Gtk+ dependency and trying Wayland as a replacement for X server. WebKitForWayland was born! During a second iteration, we were able to make the Wayland dependency optional, and change the port to use platform specific libraries to implement the window drawings and management. This is very handy for those platforms were Wayland is not available. Due to this, the port was renamed to reflect that Wayland is just one of the several backends supported: welcome WPE!. WPE has been designed with simplicity and performance in mind. Hence, we just developed a fullscreen browser with no tabs and multimedia support, as small (both in memory usage and disk space) and light as possible. We are now in the process of moving from the WebKitForWayland repositories to what will be the WPE final ones. This is why this paragraph is about “current repositories”, and why the names include WebKitForWayland instead of WPE. This will change at some point, and expect a new post with the details when it happens. For now, just bear in mind that where it says WebKitForWayland it really refers to WPE. Obviously, we use the main WebKit repository git://git.webkit.org/WebKit.git as our source for the WebKit implementation. Then there are some repositories at github to host the specific WPE bits. This repositories include the needed dependencies to build WPE together with the modifications we did to WebKit for this new port. This is the main WPE repository, and it can be easily built for the desktop and run inside a Wayland compositor. The build and run instructions can be checked here. The mission of these repositories is to be the WPE reference repository, containing the differences needed from upstream WebKit and that are common to all the possible downstream implementations. Every release cycle, the changes in upstream WebKit are merged into this repository to keep it updated. And finally we have Metrological repositories. As in the previous case, we added the dependencies we needed together with the WebKit code. This third’s repository mission is to hold the Metrological specific changes both to WPE and its dependencies, and it also updated from the main WPE repository each release cycle. This version of WPE is meant to be used inside Metrological’s buildroot configuration, which is able to build images for the several target platforms they use. These platforms include all the versions of the Raspberry Pi boards, which are the ones we use as the reference platforms, specially the Raspberry Pi 2, together with several industry specific boards from chip vendors such as Broadcom and Intel. As I mentioned before, building and running WPE from the main repository is easy and the instructions can be found here. Select the buildroot configuration you want. Currently you can use raspberrypi_wpe_defconfig to build for the RPi1 and raspberrypi2_wpe_defconfig to build for the RPi2. This example builds for the RPi2, it can be changed to the RPi1 just changing this command to use the appropriate config. The test of the commands are the same for both cases. And then go for a coffee because the build will take a while. boot: fat32 file system, with around 100MB of space. root: ext4 file system with around 500MB of space. and many other features supported by WebKit. 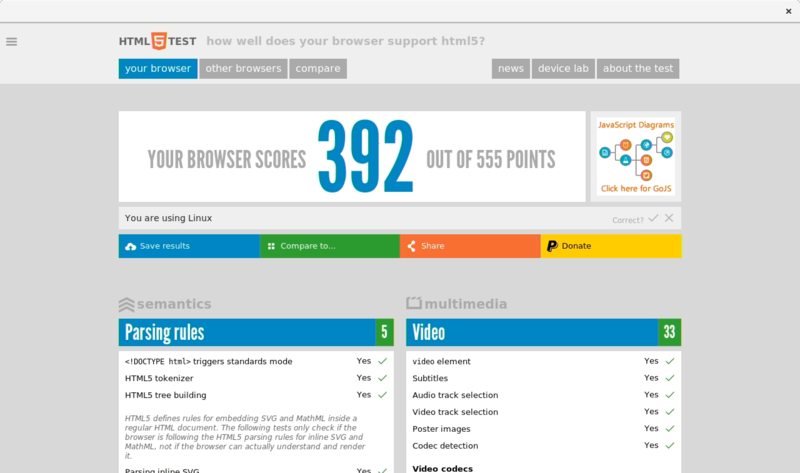 If you are interested in the complete list, feel freel to browse to http://html5test.com/ and check it yourself! We are proud to see that thanks to Igalia’s effort together with Metrological, WPE has been selected to replace QtWebKit inside the RDK stack, and that it’s also been adopted by some big cable operators like Comcast (surpassing other options like Chromium, Opera, etc). Also, there are several other STB manufacturers that have shown interest in putting WPE on their boards, which will lead to new platforms supported and more people contributing to the project. These are really very good news for WPE, and we hope to have an awesome community around the project (both companies and individuals), to collaborate making the engine even better!! Of course, periodically merging upstream changes and, at the same time, keep adding new functionalities and supported platforms to the engine are a very important part of what we are planning to do with WPE. Both Igalia and Metrological have a lot of ideas for future work: finish WebRTC and EME support, improvements to the graphics pipelines, add new APIs, improve security, etc. But besides that there’s also a very important refactorization that is being performed, and it’s uploading the code to the main WebKit repository as a new port. Basically this means that the main WPE repository will be removed at some point, and its content will be integrated into WebKit. Together with this, we are setting the pieces to have a continuous build and testing system, as the rest of the WebKit ports have, to ensure that the code is always building and that the layout tests are passing properly. This will greatly improve the quality and robustness of WPE. Clients/users of WPE will have their own repository with their specific code, and they will merge main repository’s changes directly. This is the case of the Metrological repository. A new third repository that will store WPE’s rendering backends. This code cannot be upstreamed to the WebKit repository as in many cases the license won’t allow it. So only a generic backend will be upstreamed to WebKit while the rest of the backends will be stored here (or in other client specific repositories). 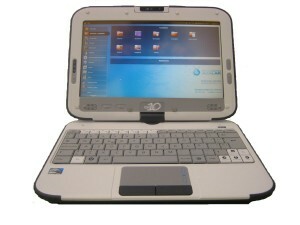 The Intel Classmate PC is a netbook created by Intel that falls into the category of low-cost personal computers, whose target are the children in the developing world. We have some of those laptops at Igalia, concretely 4th generation ones, due to the collaboration we have with the Xunta de Galicia’s Abalar Project. 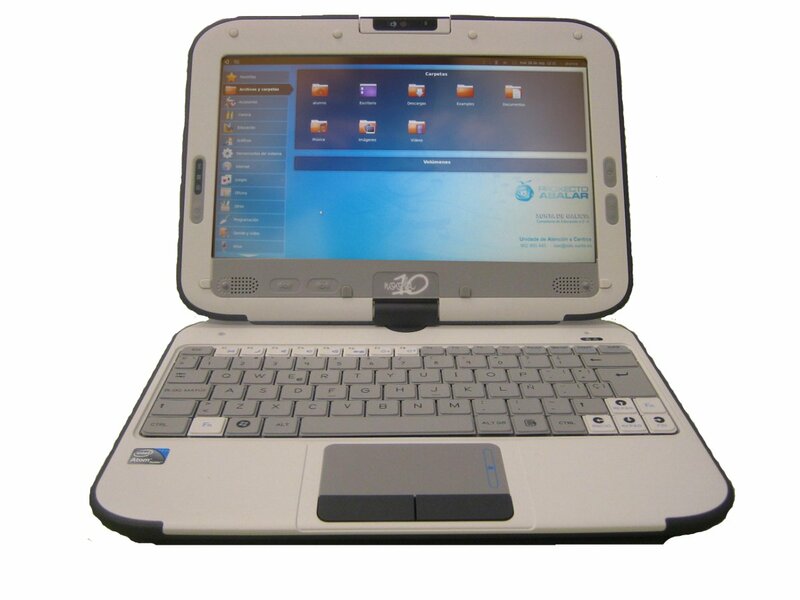 Historically, the hardware devices of this netbook were fully supported by the linux kernel (through the ACPI_CMPC configuration option), but playing a bit with the 4th generation devices, we realized that both the accelerometer and the extra keys were not working properly. While talking in the mailing list with the maintainer of the CMPC driver, I also found the reason why the extra keys were not working. The driver for the keys was expecting to handle a device with identifier FnBT0000, but at some point the ACPI support in the kernel changed to report always uppercase identifiers, so the device was reporting FNBT0000. Of course, the comparation is case sensitive, so the driver was not matching the device. Fixing this was quite easy, so I sent this second patch for it, and it was also integrated. 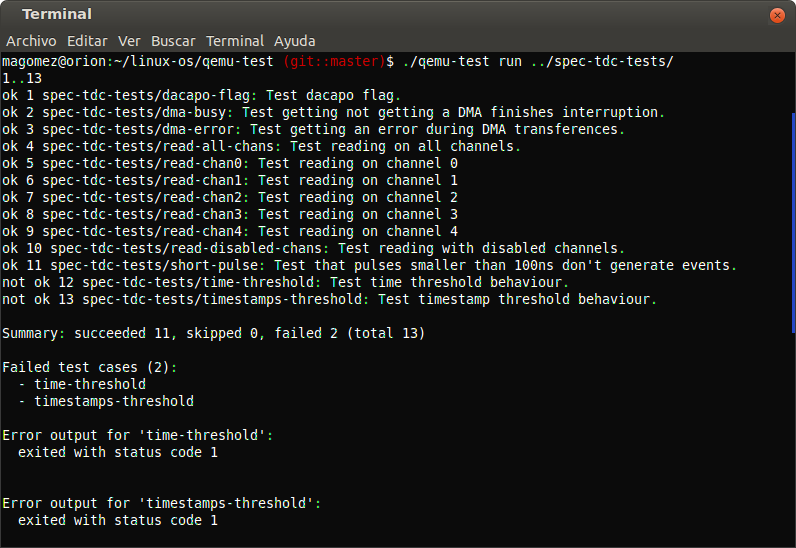 The testing environment hangs when testing the changes, and you have to reset again and again before you can find the problem (this is a classical one). The hardware is not available: how am I supposed to develop a driver for a hardware I don’t have?. There are some configurations in the driver that can’t be tested because they can’t be reproduced at will: the driver is supposed to properly handle error X, but it hasn’t been tested as there’s no way to reproduce it. When developing non kernel software, it’s possible to have a continuous integration system together with a battery of tests that will run with each code change, ensuring that the changes done compile and don’t cause regressions. But, this is not easily applicable to kernel development, as the testing system is probably going to hang if there’s an error in the code, which is a pain. At the OS team at Igalia, we have been thinking of a solution to these problems, and we have developed a system that is able to run test batteries on drivers, checking both valid and error situations, by using QEMU to emulate the hardware device that the driver is meant to handle. Emulate the device you want to work with inside QEMU. Once the specifications of the hardware are available, this is usually easier and faster than getting a real device (which helps with problem 2). Once the hardware is emulated, you can easily launch QEMU instances to test your driver changes and new functionalities. If it hangs or crashes, it’s just a QEMU instance, not your whole environment (bye bye problem 1). Add some code to the emulated hardware so it can force error situations. This allows you to easily test your driver in uncommon situations at will, which removes problem 3. 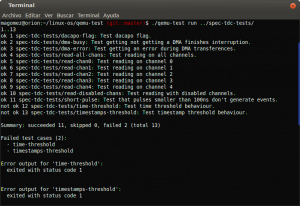 Once at this point, you can perform a really complete test of the driver you’re developing inside QEMU, including error situations, in a controlled and stable environment, so setting a continuous integration and testing system becomes posible (and there goes problem 4!). So, we decided to follow this structure during the development of the driver for the FMC TDC board we were doing. I was focused on the testing and integration while Alberto was in charge of emulating the hardware and Samuel was dealing with the driver. If you want to know more about these topics you can read their posts about the FMC TDC board emulation and driver development. Changes in the driver code must be automatically integrated and tested. Each has a binary that gets executed inside an instance of QEMU and produces a result. We need a way for the test to tell to the emulated hardware how to behave. For example, a test that checks the handling of a concrete error must be able to tell the emulated hardware to force that error. We want to be able to test several kernel versions with different hardware configurations (memory, processors, etc). We need to detect whether the kernel inside QEMU has crashed or got hung, and notify it properly. We want to be able to retrieve logs about everything that happens inside the emulation. With these ideas in mind, we started the development. We decided to build our system around Buildbot, a well known continuous integration and testing tool. It already supports defining building and testing cycles, and reporting the status through a web page, and is also able to monitor software repositories and start new builds when new commits are added, so it was exactly what we needed. Prepare the image to be run in QEMU to execute a script when booting (explained in next steps). In order to do this we decided to use qemu-nbd to create a device that contains the image’s filesystem, then mounting it and copying the script where we want it to be. The performace of qemu-nbd is not the best, but that is not critical for this task, as this needs to be done only once per image. Create a temporal directory and copy there the setup and teardown (both from the suite and the test) executables, together with the test’s run executable. All the files stored in the test’s data folder are also copied to the temporal directory. Keeps a timeout for the duration of the emulation. If the timeout is achieved it means that the emulation got hung or didn’t boot, and then the emulation is finished. Runs the suite’s setup, test’s setup, test’s run, tests’s teardown and suite’s teardown executables, redirecting their output to log files in that directory. It also stores the exit status of the run executable in a file. This exit status is the one indicating whether the test has passed or not. After this, there were only some details remaining to have a working environment. They were mostly configuring Buildbot to properly use the test suite and gather the results, and adding some scripts to perform the compilation of the kernel, the TDC driver and its dependencies, and the test suite itself. And this is the final result that we got, with Buildbod handling the builds and running the tests. I have to say that the final result was better than expected. We had defined several key tests for the TDC driver, and they were really useful during the development to ensure that there were no regressions, and also helped ud to test error conditions like buggy DMA transferences, something that was dificult to replicate using real hardware. Yes, you have guessed it. Together with some of my colleagues at Igalia, I’m collaborating in the development of the Meego Touch Framework, the (not so) current MeeGo framework for application development. This development is completely open and it’s being performed through its gitorious repository. Added some performance improvements here and there, mostly related to avoid unnecessary redraws, and modified the hiding of the dialogs. Maybe you have realized that the more expenses you had in a month, the more it took the new expense dialog to hide. That doesn’t happen anymore, and everything runs a bit faster. Source code restructured, making the appearance of the application totally independent of the rest of the code. Thanks to this, creating new views for the application for different platforms is really easy. This is something a normal user won’t notice but I needed it for other goals ;). Also, this was something almost mandatory for someone who likes designing as I do :). Create a database updater: I’m a slave of the database schema. I have some features in mind that would break the database compatibility with previous versions of the application. This is something I need to fix. I have in mind a program able to update the database schema and migrate existent data when upgrading to a new version. Implement forecasts: I’d like to add the application the capability to tell you how are you going to finish the month according to your current expense rate. Something similar could be done with a period of months. Add an rpm packaging branch. Implement the account password protection feature. The only bad new is that I’m not planning to create a new package and upload it to garage and those things yet. I’ll probably just create version 0.4.3 in the repository and wait until version 0.5 to create the new package. Some of my colleagues had already created some examples with Grilo, like Iago adding it to Totem or José creating a clutter based player. I wanted to do something different, and as I live between the Qt and the Gnome world, I decided to develop a Qt based Grilo application that used Phonon to play the media found by Grilo. If you are interested in the full source, you can clone my public repository at Igalia (http://git.igalia.com/user/magomez/qtgrilo.git). You can choose the plugin to use from the combobox on the top. 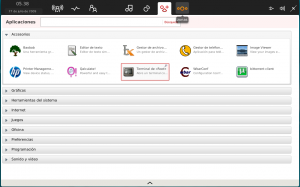 When a plugin is selected, the operations supported by the plugin are indicated. In the image, the Youtube plugin supports searching, browsing and metadata operations. 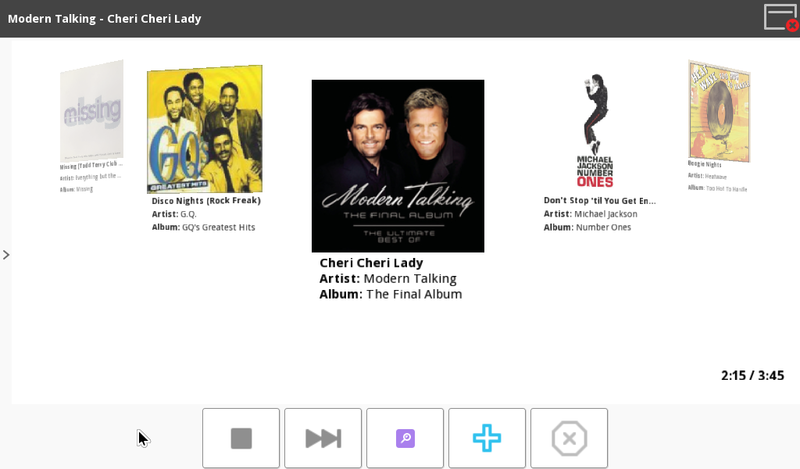 The bottom-left list shows the available media. It can be the result of a search, query or browse operation. Double clicking on a list item will browse it if it’s a container or show its metadata if it’s a media file. If the selected media contains an URL field, it will be played by pressing the Show button. Step three: implement the browse, search and query operations. Again, this is a simple process once you understand how Grilo works, and the implementation of the three operations is quite similar. Basically, you need to call grl_media_source_search/query/browse. Besides some flags and parameters for the search, you indicate the string to search/query or the container to browse, and the callback operation. This callback is called whenever a result arrives, and inside you must decide whether to launch a new search/query/browse to get the next chunk of results. Of course, besides this, I’ve added the obtained media to the browser list, so the user can interact with it. As I explained in my last post, a class method can be used as a GObject signal callback, so this is what I did here as well. When callback method is called, it receives the class instance as the user_data parameter, so from inside the class method I can call the instance method I need. As an example, these are the 3 functions that implement the search operation: search() is the one called to start the operation, searchFinishedCB is the result callback, and searchMethod is the instance methos that adds the result to the browser and launches the search again if needed. After implementing the search, query and browse operations, I implemented the metadata operation as well. So when the user selects and element in the browser, its metadata is retrieved and shown. Its implementation is quite similar to the browse/query/search operations as well, but it doesn’t need to be relaunched as them. Understanding how Phonon works is quite easy when you have learned to use GStreamer first, as the concepts are almost the same (despite Phonon is far easier to use). Basically you need to create a MediaObject and tell it where to get the data. 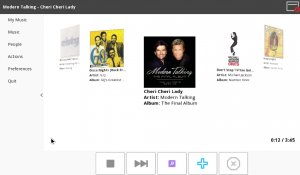 Then create an AudioOutput for the audio, a VideoWidget for the video, connect them and then set the playing state. I was a bit short of time to implement a more featured player, but I wanted to provide a way to stop the playback once started, so it’s stopped when the output window (if it’s a video) or the dialog with the title (if it’s an audio file) are closed. You may (or not 😉 ) know that GDigicam is an open source library used in Maemo 5 as a middleware betweeen the camera application and the GStreamer stuff. The goal of the library is to ease the development of camera style applications by hiding the low level stuff to the UI developers, and it allows different GStreamer pipelines to be used in the lower layers to achieve the camera funcionality. Currently the camerabin plugin is the fully supported one, and it’s also the one being used for the N900 camera. First, extend the QWidget to create a CamWindow widget. In the CamWindow constructor, create the GDigicamManager, the GStreamer camerabin plugin, the GDigicamDescriptor and fill the bin capabilities (this is done in the setupCamerabin method). Connect the callbacks to the GDigicam desired signals and set the initial configuration. In the example, I used CamWindow’s static methods as callbacks of the GDigicam signals. This is fine as long as you don’t need the CamWindow instance. If you need it, then you’ll have to set it as the callback user_data parameter when connecting the signal (as in the preview signal case). This done, by calling g_digicam_manager_play_bin() and g_digicam_manager_stop_bin(), you can control the viewfinder running on the window. The g_digicam_manager_play_bin() function received the XWindow id of the widget, which is obtained through the winId() member of QWidget. 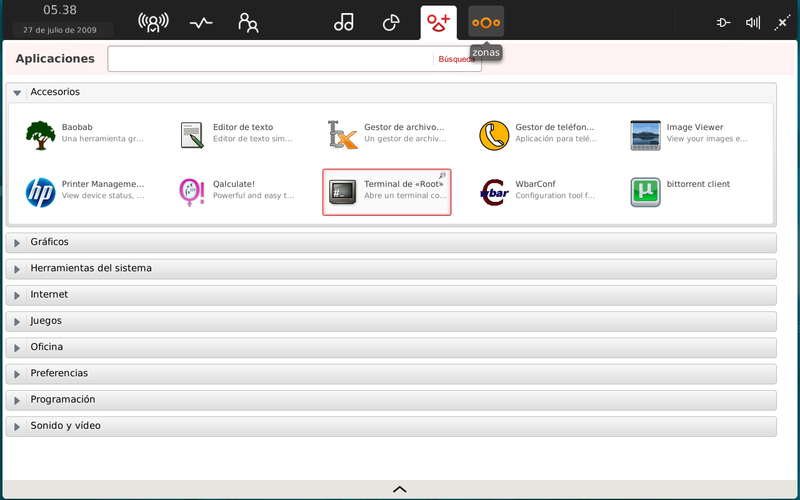 If you get the code and run the example in an N900, you will see a window with a capture button. Go to the menu, select play and the viewfinder will show up (and capture button will be over it!). You can change the resolution of the picture through the menu, and press the capture button to get a picture, and see the preview of the capture in a new window. For the moment, those are the features I’ve implemented in the example. Something I’ve been playing with that I’ve not mentioned before was my experiments adapting Vagalume to the Moblin look and feel. As you know, Moblin’s UI is (should I say was???) Clutter based, with lots of fancy transitions. Also, it uses fullscreen windows in a one-window-per-desktop approach, and there aren’t dropdown menus neither dialogs. And as you also know, Vagalume has a non fullscreen Gtk+ based window. And it uses dropdown menus and dialogs. And then started with the menu. I removed all the dropdown stuff and replaced it a side panel. This panel can stay hidden or shown. I uploaded the package to the Intel AppStore so it is (or should be at some point) available. But if you want to play a bit, you can clone my repo at the Igalia (http://git.igalia.com/user/magomez/vagalume-moblin.git) and check the moblin branch.